Stand up for your Coupons! 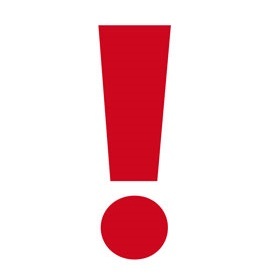 Ok everyone.� I know we have a lot of new coupon users to the site.� And I also know that a lot of you may be too sweet to stand up to a rude cashier or manager.� So I thought I would remind you about a few things. When I first started using coupons in July 2009, I was more on the timid side.� If a manager told me that I couldn’t use the coupon, even if I knew I could, I would say ok and be done with it.� I think I was that way partly because I didn’t feel like I knew enough about coupons to defend my purchase.� After a few months, I knew how coupons were supposed to work and I definitely started standing up for the coupon deals I had.� It made a huge difference with the managers or cashiers I talked with.� When you feel confident and can tell others how their own coupons work, you can usually help out a confused manager or cashier.� I want all of you to have that same confidence when you use coupons and get your deals. The most important thing you can do for yourself is take a copy of the store’s corporate coupon policy with you!� Take it each and every time you shop!� If you have a coupon binder, just keep it in there.� If you don’t, keep a copy in your wallet or someplace with your coupons so you don’t forget it.� If you ever have a problem with a cashier or manager not accepting your valid coupon, then show them their own coupon policy.�I cannot tell you how many managers are absolutely clueless when it comes to coupons.� They don’t understand how they work and definitely don’t understand that us using coupons actually makes them money! On each coupon, it states that the manufacturer will reimburse the store for the face value of the coupon plus a handling amount.� Usually it is around 8 cents.� I have seen them as high as 16 cents per coupon though.� So, places like Wal-Mart and Target are making 8- 16 cents for every single coupon you are using.� And although they should, some managers don’t realize this.� So, now you know that it is profitable for the stores to take your coupon.� It is now ammo to use if you run into an unwilling cashier. After showing a cashier or manager a coupon policy, they should take your coupons.� If for some strange, strange�reason they don’t want to follow their own corporate policy, that is when you pull out the big guns.� Take down their name�and tell them you will be calling corporate the second you leave the store and letting them know that they are not following corporate policy.� If that doesn’t work, then you really will need to contact corporate through either email or phone.� Corporate actually WANTS to know when a store won’t accept your valid coupons.� So, they will help fix your problem.� And, in the future, you won’t have the problem again at that store.� And you probably helped out a lot of your fellow coupon users by being the one to stand up to the incorrect coupon proceedures. Ok, I know that this probably sounds really dreadful to a lot of you.�You may be completely happy with not saying anything or standing up for your deals.� I will say that I have never had it go to the point of�telling a manager I will be contacting corporate.� But, I also live in an area that uses a lot of coupons.� So some other brave person probably did the ground work before me.� However, I have had to whip out the store’s coupon policy before.� So, please, please take it with you! It will save you a lot of headaches.� Plus, I don’t want any of you to get frustrated at the beginning of your coupon journey! To print out a copy of the Target Coupon Policy, go here.� To print out a copy of the Wal-mart coupon policy, go here. Walgreens is the ONLY store that I know of that does not have a corporate policy.� In this case, you will need to find a Walgreens manager or store that understands how to use coupons.� I drive 15 minutes to my favorite Walgreens, even though I have one 5 minutes away.� And, I don’t even find it annoying because I never have problems using my coupons at the store that is further away.� The manager is consistent with how he will accept coupons.� So I don’t have problems.� If I can get a bunch of items for free at Walgreens with my coupons, I will gladly drive as far as I need to.� It is a fair trade to me. If you are new to using coupons, don’t get upset or frustrated.� Just start educating yourself.� I am making it my personal goal to help you all with this.� Like I said earlier, read the Couponing 101 section on my site.�(Located on the right-hand side in the alphabetical list. )�That is a good place to start!� There is a way to hand your coupons to a cashier to not have it beep at you.�Plus, I have given you the rules of Walgreens. �All of that is included in the Couponing 101 section. **On a side note, please make sure you are nice and polite to the cashiers.� Many of them are hesitant to take coupons because they don’t want to get in trouble for doing something they are not supposed to.� Besides, the nicer you are, the more willing they will be to help you figure out the coupon problem.�Thanks Lee for reminding me!� It is very important! Totally true Lee!!!! Thank you for adding that! Oh, I forgot there was a new Walgreens out by Bangerter. Sorry! I go to the one on 12300 S. and 13th east. Nick is the manager there and they know how to use coupons. Thank you thank you for this post, and the links to the Target and Walmart coupon policies! I don't know what I ever did without your site! Does ToysRUs take coupons? How do I get a copy of their coupon policy? Yes, they do. I haven't seen a copy of their coupon policy on the website. But, you can email the customer service and get specifics if you are having problems with your location accepting them. Carissa= Thanks for reminding me to update this post! When I wrote it they didn’t have one. Thanks again! Hi! So, I might need a lesson on this still. I did read the Target policy which states they will accept manufact. coupons, but they do not accept a catalina manufacturer coupon that has another store’s logo on it. Is that the case? Thanks! Correct. They wont accept the catalina. But Walmart will, as long as it says Manufacturer’s coupon on the top of the Catalina- per their new coupon policy. I just got my Motts Tots coupons from Vocalpoint and I tried to use it at Wal-Mart. They said it has to have 2 barcodes for the coupon to work. Is this true, because all of the coupons they sent only come with one (I took them all)? No, that isn’t true. Next time, ask for a manager and explain that Motts mailed you those coupons. If you have problems, you might have to call Walmart Corporate in store too. 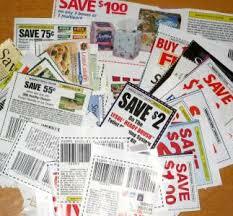 GREAT guide to basic couponing – thanks! I’m going to send my daughter the link – she’s just getting started.